Schools Stand Up 2 Racism is a three year research project currently taking place in secondary schools across Cheshire, Halton and Warrington. It is being led by Cheshire, Halton and Warrington Race and Equality Centre (CHAWREC) in partnership with Manchester Metropolitan University (MMU). The Schools Stand up to Racism project is primarily interested in finding out about racism in Cheshire schools. However, its wider interest is in changing policy and practice by reaching and influencing a broad range of teachers, pupils, parents, policy makers and other stakeholders. Dr Geraldine made a big splash in Hungary when she presented some of the projects findings in the country – at Szeged University. 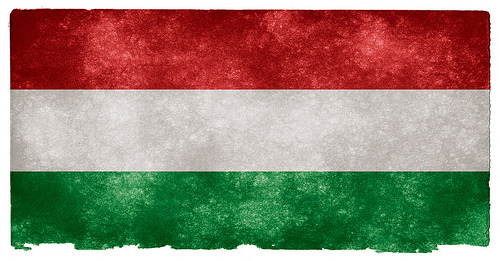 Hungary is a central European country which is part of the European Union and which is probably most associated in the UK with one of the main dishes of the country – Goulash. However, there is more to Hungary than one dish; it is a country rich in culture, history and heritage, with a modern European feel to its towns and cities. Szeged is a beautiful medieval university town situated at the bottom of Hungary, near to the Serbian border on the Tisza River. A centre of excellent for teacher training, Szeged University was the perfect place for initial project findings and ideas to be presented. In a session with Masters level trainee teachers, Dr Geraldine discussed the importance of teachers considering the impact of race and ethnicity issues in their schools and classrooms and some of the ways that teachers can take action against racism in the UK. Opening up the debate to the group of trainee teachers, clear differences between UK ideas about race and ethnicity and Hungarian understandings became visible. It was also the case that the way Hungarian schools operated and structured their teaching opened their system up to possible institutional racism. For instance, the trainee teachers noted that racism was common in schools and often displayed by teachers themselves. They felt that creating culture change in such environments was hard for an individual teacher, who, coming in as a junior teacher, would be overruled if they tried to change policies and practice. The teachers also reported that any change should be driven by higher level policy and school structures rather than them. The visit provided a chance for the SSUR project to be promoted in another European country and to consider how ideas generated from the project findings might be developed to help such countries change their accepted cultural ideas around racism in schools.